Kramer Electronics will be presenting an array of software-based AV solutions designed for IT professionals at ISE 2017 in Amsterdam in Booth 1-F20. Kramer’s complete pro AV portfolio of products and solutions will be on display, featuring Presentation, Control, Collaboration, Connectivity, and Audio along with new products and technologies. "We're very excited this year about continuing to showcase our recent shift toward a software- and cloud-centered approach to AV,” said David Margolin, Director of Corporate Marketing at Kramer. "We are still firmly rooted in our industry-leading pro AV hardware products, but our unique response to the trend toward IT-focused AV has produced game-changing results that offer customers more cost-effective solutions and higher productivity in any AV space." Visitors to the Kramer booth will be treated to live, hands-on demos showing Kramer's shift toward new IT technologies and IT-oriented solutions such as Kramer AV over IP, Kramer Network and Kramer Control. Visitors will learn how these solutions are changing the way AV content is captured, managed, distributed, and controlled. Kramer Network is an AV over IP virtual matrix software enterprise management platform that gives IT system administrators and AV professionals complete centralized or distributed single-point control of IP streams, room environments and any AV device. First launched at InfoComm 2016 with industry-wide praise, Kramer Control is the company's new, comprehensive, cloud-based solution for control and analytics in any commercial pro AV environment. Kramer Control lets users navigate to any room in an organization and easily control AV systems, infrastructures and devices, including Kramer wireless collaboration products, audio products and systems, thermostats, HVAC, lights, shades, alarms, security, video conferencing, and more. Based on a distributed architecture, Kramer Control offers agility and scalability, catering to a single room or large global enterprise with the same ease of use. 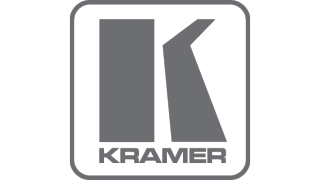 Kramer will be debuting the company's new trigger-based automation software, which will be available as an enhancement for Kramer products. The software creates totally automated meeting room environments with minimal end-user intervention. It is easy to configure and manage remotely,reducing service calls and saving IT managers valuable time and resources. Triggers can include plugging in a laptop, scheduling a meeting, or motion detection. These events create a series of actions such as turning on computers (via Wake-on-LAN) and turning on and off lights, projectors, displays, video sources and HVAC. Also featured will be two new members of Kramer's VIA family of wireless collaboration solutions. The first, VIA GO, is an advanced wireless plug-and-present solution that turns any existing projector or display into a state-of-the-art, BYOD wireless-enabled device. It is easy to install with both built-in Wi-Fi capabilities and connectivity to wired LAN. With no dongles, adapters or cables, VIA GO offers a clutter-free wireless BYOD presentation environment in any meeting room or classroom. The company's shift toward software-centered AV has also inspired a software-only approach to wireless presentation and collaboration. This new VIA-as-software-only solution is designed for collaborative meeting environments and education and training and turns Windows PCs into fully-featured VIA devices. The solution makes it easier for IT professionals to implement wireless presentation and collaboration into their organizations and comply with specific IT policies. VIA wireless collaboration solutions let in-room participants view the main display from any laptop or mobile device, edit documents together in real time, share any size file, turn themain display into a digital whiteboard, chat with other users, stream full uninterrupted HD video, and more. Educators can use e-polling and e-exams to easily and instantly measure how much students and trainees are actually learning, remote users can join a meeting or class in real time with embedded 3rd-party apps. VIA was mentioned in Forbes magazine as one of “5 top technologies” people should integrate into their businesses. AV/IT convergence and the use of IP technology has had a profound impact on how AV products are designed and installed. While opening a whole new world of opportunities, traditional AV professionals are being forced to adjust their skillset and knowledge more in the direction of IT. IT professionals are in essence becoming the new owners and operators of AV spaces while still feeling more at home with IP-driven technologies and IT work methodologies. At ISE 2017, Kramer will demonstrate how the company is leading the AV over ITtrend. This year, Kramer experts and thought leaders are offering four value-driven education sessions: Solutions and strategies for addressing the technological challenges of AV integration in an IT world, effective and innovative approaches to modern meeting spaces and learning environments, and the effects of acoustics on workplace productivity. Finally, Kramer is hosting the third annual UC Panel at ISE. This year's panel, entitled "Driving Industry Leadership for AV over IT," will focus on the future of new IP-based AV technologies that use IT infrastructure and work methodologies. The discussion will be chaired by Tim Albright, Founder & President of AVNation. "There’s never been a more exciting time for our industry – we are taking part in the shift of AV towards IT," said Albright.